Powerful, whole-body MRI scanner provides full spinal and brain scan in less than 20 minutes. The Philips Achieva 1.5T is a powerful, full-body MRI scanner that provides excellent, homogenous image quality with a scalable design framework. The fast and easy-to-use MRI machine comes standard with proprietary image enhancement software, an adjustable table, and patient comfort features. 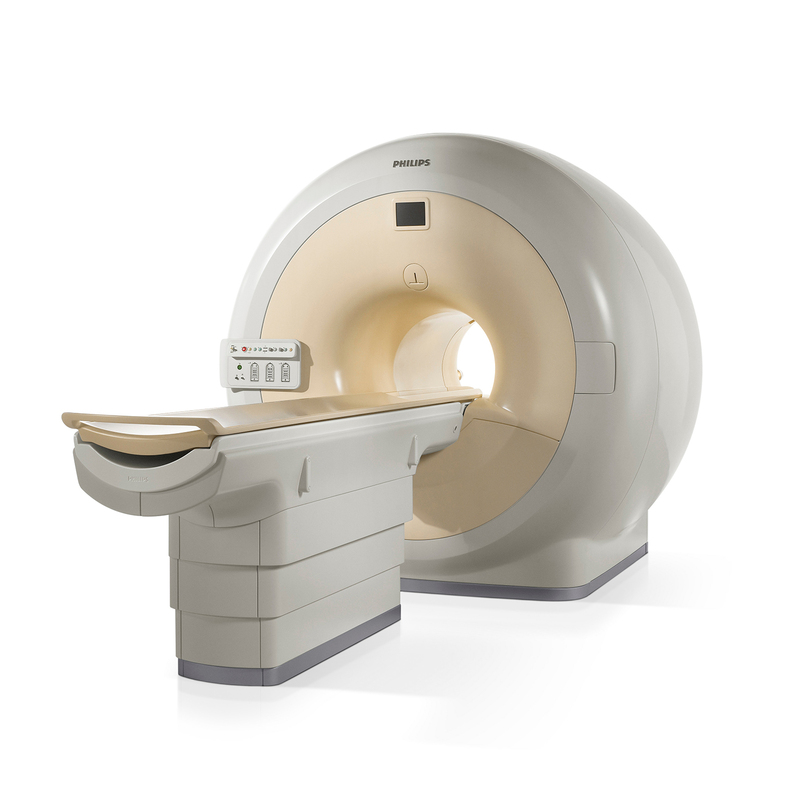 For more information on the Philips Achieva 1.5T MRI System, available refurbished through Avante Health Solutions, contact an Avante representative today. Powerful, whole body MRI scanner with intrinsic homogeneity, excellent image quality, and a lightweight design. Fast, easy-to-use machine can complete a full spinal and brain scan in less than 20 minutes. Choose the number of channels you need: 8, 16, or 32 channels available. Proprietary FreeWave TF software is designed to handle large data streams necessary for high resolution imaging with matrices of up to 2k x 2k. 4D-TRAK, k-t BLAST and other acceleration methods also deliver fast scanning. SmartExam technology provides uniform image quality across patients, technicians, and pathologies. Synergy RF system handles four quadrature coil channels plus one linear channel. SENSE technology can be combined with virtually every scan method for educed scan times, higher temporal resolution and enhanced spatial resolution. Variable lighting, fresh air supply, and handheld call button for improved patient experience. Table height can be lowered to only 20 inches, allowing patients comfortable access. Table designed to support patients weighing up to 550 pounds. Includes soft mattress with headrest. Achieva 1.5T provides a scalable platform for high return on investment, requiring only software upgrades and minimal hardware changes to scale up clinical capabilities. Available with Pulsar gradient (amplitude 33 mT/m, slew rate 80 mT/m/ms), Nova gradient (33/160), and Nova Dual gradient (33/160 or 66/80) — ask your Avante representative for more information.